Melbourne, Jan 18 (IANS) Three-time runner-up Andy Murray coasted to a 7-6(2), 6-4, 6-2 win over 26th-seeded Spaniard Feliciano Lopez here Saturday to reach the fourth round at the Australian Open for the sixth consecutive year. The fourth seed was broken only once in the two hours and 15 minutes match. The Australian Open is his second tournament since coming back surgery last September. 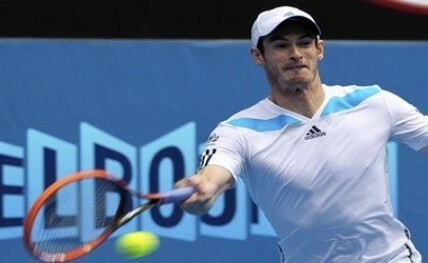 Murray won the 2013 Wimbledon Open to become the first British winner in 77 years but is still aiming for his first Australian Open title as he lost three finals in the last four years at the Melbourne Park. Murray's fourth-round opponent for one place in quarterfinals will be Stephane Robert of France, a lucky loser from qualifying who made the main draw after Philipp Kohlschreiber withdrew with an injury.